Organizations only have to report this information if they issued 250 or more W-2s for the 2011 calendar year. 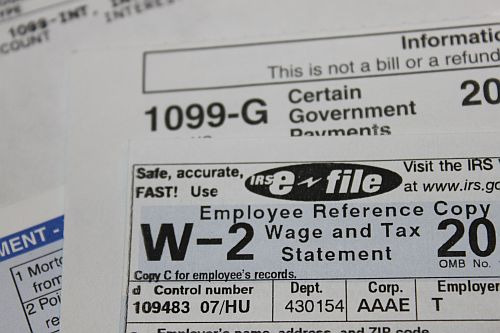 You do not have to report for retirees or anyone else that doesn't receive a W-2. Generally speaking, you have to report on any benefits you are required to offer COBRA for, however, vision and dental are exempt for 2012. Voluntary benefits do not have to be reported. Flexible Spending Accounts (FSA) benefits do not have to be reported (even though you do offer COBRA) unless the employer contributes. Health Savings Accounts (HSA) and Health Reimbursement Arrangements (HRA) are also not included. Something that doesn't seem to be common knowledge -- EAPs that offer direct counseling and treatment, rather than just referrals, are regulated under ERISA and subject to COBRA. So, this would have to be reported. Wellness Programs will have to be reported if they qualify as a group health plan. The programs that qualify as group health plans generally seem to have onsite clinics. The amount reported must reflect changes in coverage during the year -- individual to family etc... Ideally we'd input the cost of coverage when we set up the deductions in payroll, but we're going to have to play catch up this year. Guidelines weren't released by the IRS until this month, so most payroll providers aren't yet set up to track the information. If the final pay period straddles two reporting years, employers may use a reasonable allocation method to divide the cost between the two years, or treat the coverage period as occurring either entirely before December 31 or entirely after December 31. This isn't something you want to mess up because the penalties are huge -- $30 to $100 per day per W-2. These benefits are not taxable at this time, but it seems to be laying the ground work for the government to tax "Cadillac" plans in the future. Thanks to Mark Sager at Alliant, our broker, for inviting me to join in the webinar with him. Update: The IRS published this chart that details what needs to be reported.